When you have hairs on your body that you don't want, your initial response is probably to shave them off. Of course, you could also wax them off. But either way the results are going to be the same. The hairs will grow back quickly, and the process of removing them will eat into your weekly schedule. On top of that, you might miss some hairs occasionally, which could be annoying or embarrassing. A better solution might be to have the hairs zapped away with laser machines. If you want to understand why lasers could help you get rid of unwanted hair, you first have to understand why the hairs grow back so fast after waxing or shaving. The reason is simple. You're not getting the hair out all the way down to the roots (follicles). The hair removed during shaving is only the part of the hair that pokes above the skin's surface. The rest stays right below and soon pokes its way through again. Waxing is a bit more useful because it can pull some of what lies below the surface out too, but it's not that consistent. The great thing about removing hair with clinical skincare equipment like lasers is that they can zap every single hair in a given area of skin. So, you won't have to worry about missing any. Also, the focused beams of light and heat can follow each hair shaft down to the follicle, removing almost all of each strand, even the part that isn't visible to the naked eye. 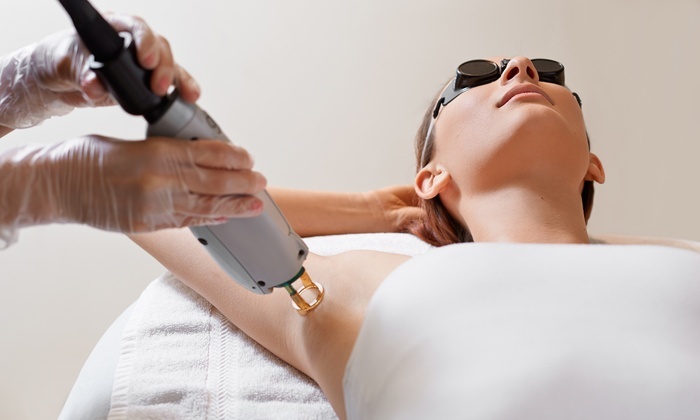 When you have laser hair removal done, you should expect a single appointment to take about an hour. However, you will need more than one appointment. Depending on your body and where you are getting the laser hair removal at, you may need 3-7 appointments during your initial round of treatment. You might also choose to have more sessions on an ongoing basis. You see, laser devices do keep hair from growing back as quickly as it would after waxing or shaving. However, it's a myth that a laser can permanently zap every strand of hair away. That said, you could find that some of the hairs don't grow back, and the hairs that do grow back are likely to be lighter and less noticeable. And when I say it grows back slower, I mean it grow back A LOT slower. As for the treatment itself, the process is fairly easy. Your technician will make sure you're as comfortable as possible, but you might feel some slight discomfort during the procedure. I have never done laser hair removal myself however I have been told that it feels like you are being pricked with a very fine needle sometimes. You won't have to worry about recovery time, though. Most people continue to go about their normal daily activities right after their appointments. Am I Good Candidate for Laser Hair Removal? Even though removing lasers may sound tempting, you shouldn't sign up for the process until you talk to a clinician or dermatologist. That's because some laser devices shouldn't be used on those with oily or dark colored skin. There are also other skin conditions and issues that might make you a bad candidate for the procedure in general. But there may also be some factors that just limit you to being treated by specific types of lasers. If that's the case, you'll just need to find a clinic that has the right laser machine and equipment for your needs. Then you can get your unwanted hair zapped away with the least possible risk.